Localizare: la 500m de plaja, in a treia linie de hoteluri. Facilitati: piscina exterioara, conexiune la internet - wifi, restaurant, bar la piscina, tenis de masa, gimnastica in apa, animatie. Localizare: la 350m de plaja, in a treia linie de hoteluri. Facilitati: piscina exterioara, conexiune la internet - wifi, restaurant, biliard, tenis de masa, doctor. GRATUIT: accesul la piscina, parcare, patut pentru infant. Localizare: la 550m de plaja, in a treia linie de hoteluri. Facilitati: piscina exterioara, seif la receptie (contra cost), conexiune la internet - wifi, restaurant,, biliard, tenis de masa, fitness. Localizare: Hotelul este situat in zona centrala a statiunii Nisipurile de Aur, plaja este la aproximativ 250 de metri. Facilitati: Dispune de restaurant, lobby bar, piscina exterioara, casa de schimb valutar, magazin, safe la receptie, lift. 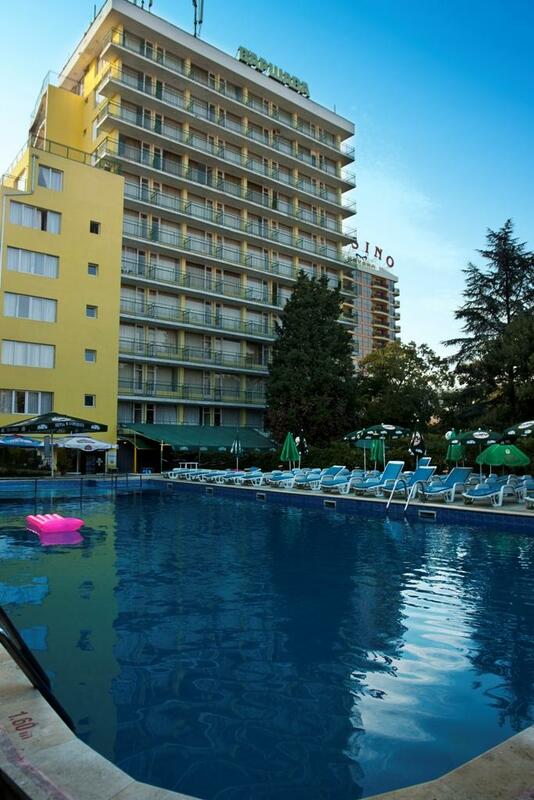 The hotel is situated about 400 m from the beaches Kabakum, Journalist and Riviera, 4 km away from the Golden Sands resort and 18 km from the city of Varna. It is ideally located for families with children, couples and individuals who wish to have a pleasant, quiet and relaxed summer holiday. A shuttle service to the beach is available. There is a public transport connection about 150 m from the hotel. 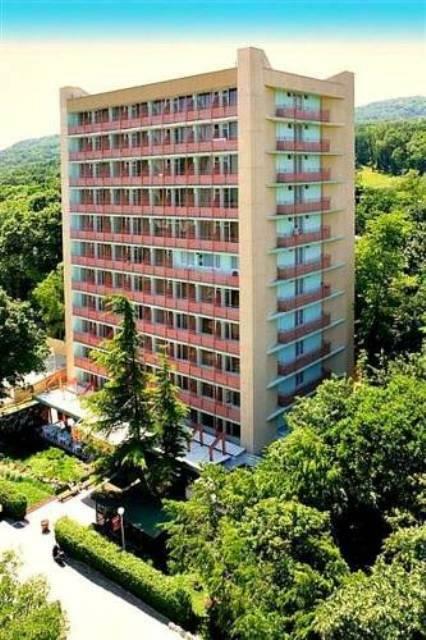 Burgas Airport is approximately 120 km away and Varna Airport is approximately 26 km away.Surrounded by green trees and a beautiful park with flowers and panorama views of the sea, this charming hotel offers a relaxing atmosphere during guests' stays. 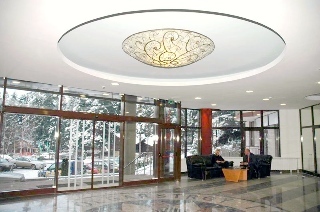 The reception is open 24-hours a day and offers a 24-hour check-out service, hotel safe and a cloakroom. 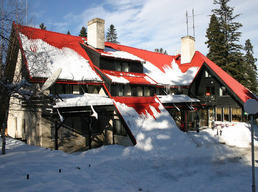 There is lift access to the upper floors. 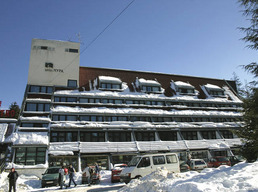 The modernised air-conditioned hotel offers 64 double rooms, 4 apartments and 5 studios, and facilities such as a café, restaurant, lobby bar, swimming pool with children's swimming area, a poolside bar, sun beds and parasols, parking, a currency exchange facility and a children's playground. Furthermore, there is a newspaper stand, TV lounge, Internet access (fees apply), room service and a laundry service (fees apply). Guests may also hire bicycles at the hotel.Each guest room has a sea view and is furnished with a double bed. Rooms feature air conditioning, an en suite bathroom with a shower and a hairdryer, as well as a fridge, cable TV, telephone, an Internet connection and a balcony.Guests can take a dip in the hotel's outdoor swimming pool which has a children's swimming area. Refreshments are available at the poolside snack bar (fees apply). Sun loungers and parasols are laid out on the sun terrace. Guests can book themselves in for a massage treatment (fees apply). The entertainment facilities also include table tennis, beach volleyball and pool/snooker (fees apply to the latter). Sun loungers and parasols may be hired on the sandy beach. Localizare: hotelul se afla la 150 de metri de plaja. Facilitati: piscina exterioara, pool bar, lobby bar, safe la receptie, schimb valutar, masaj, fitness, biliard, sala de internet si magazin de suveniruri. Pentru copii: piscina pentru copii, patut pentru infanti, club pentru copii. 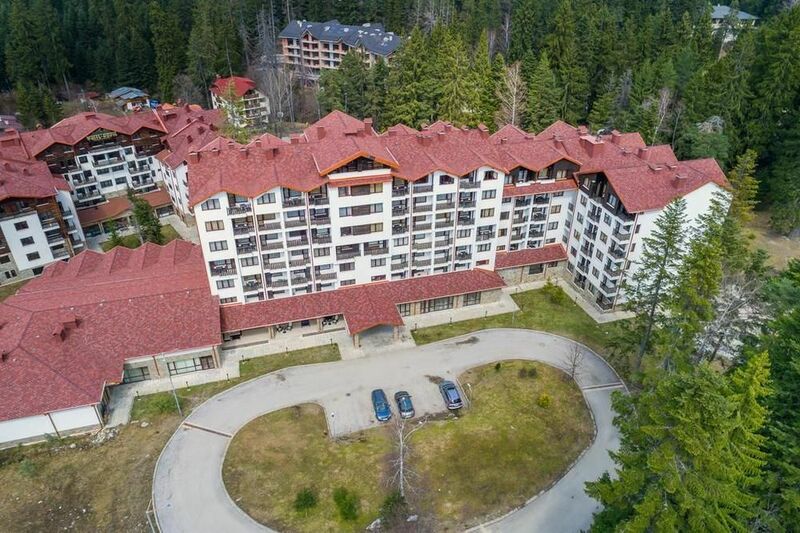 Address 2010 Borovets, BulgariaLocation Hotel Festa Chamkoria is located in the ski resort Borovets, among the beauty of the century old pine woods. 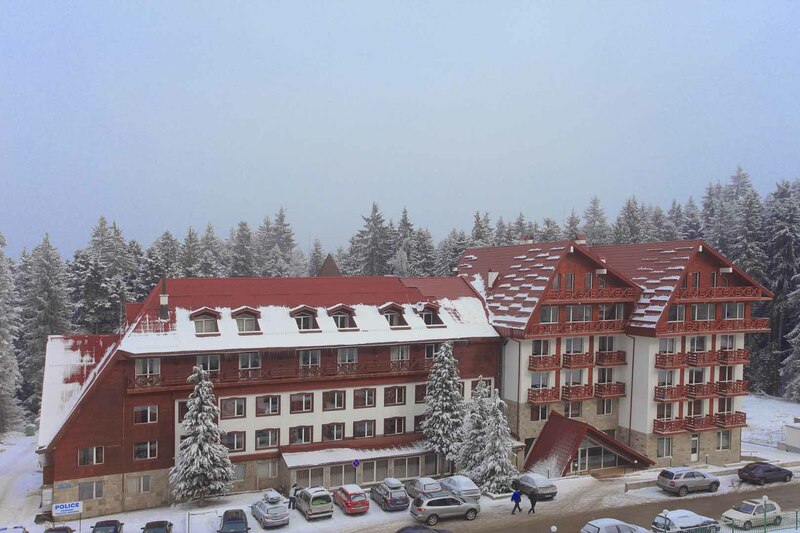 The hotel is 1200 m away from the ski center Borovets and from the Gondola base station. 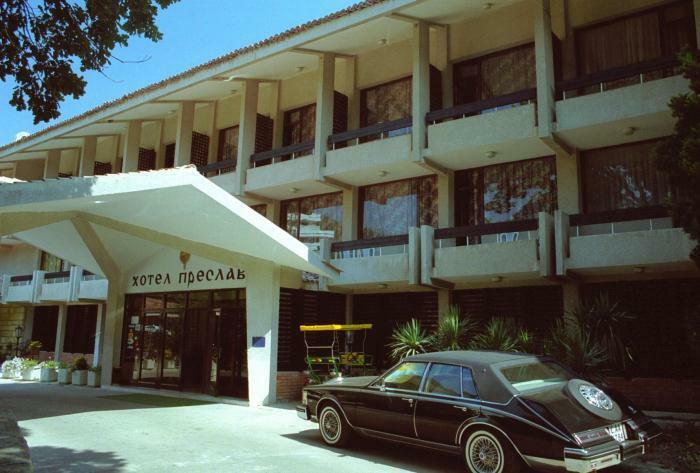 Localizare: in a doua linie de hoteluri, la 150m de plaja. Facilitati: piscina exterioara, lift, restaurant, bar, internet, coafor, magazin, parcare, biliard, fitness, sauna, masaj, club de noapte. Localizare: la 300m de plaja. Facilitati: restaurant, lobby bar, piscina exterioara si interioara, cocktail bar, barbeque bar, magazin, night club cu karaoke bar, sauna, masaj, jacuzzi, safe la receptie si casa de schimb valutar. Camerele: sunt dotate cu grup sanitar propriu, frigider, aer conditionat, TV, telefon si balcon.